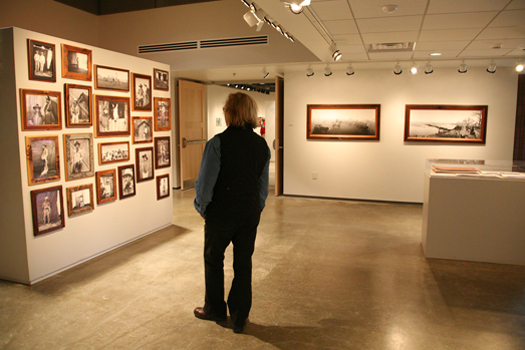 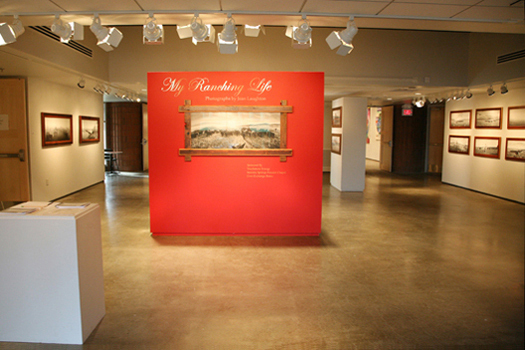 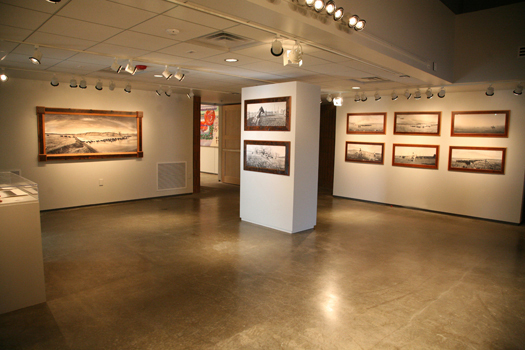 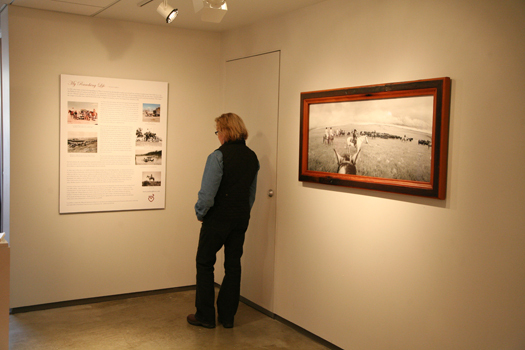 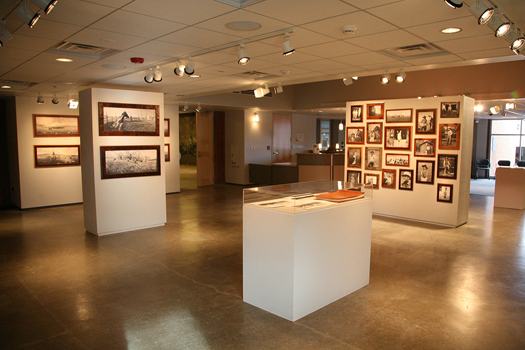 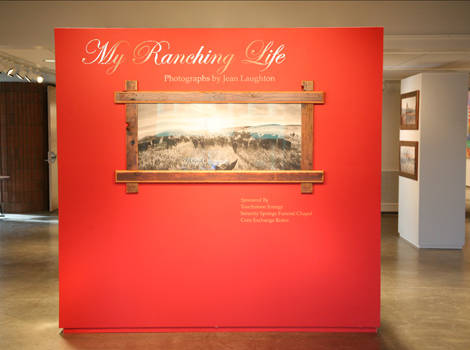 The exhibition MY RANCHING LIFE consists of black & white large scale panoramic photographs. 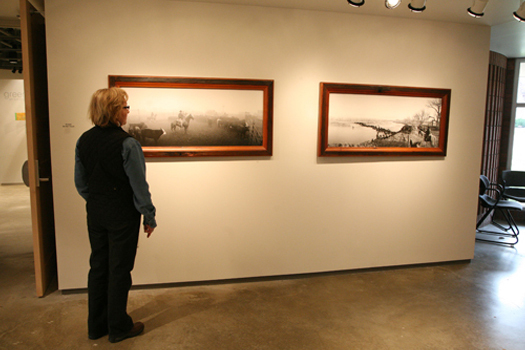 Images shot from horseback while cowboying on the Quarter Circle XL Ranch. 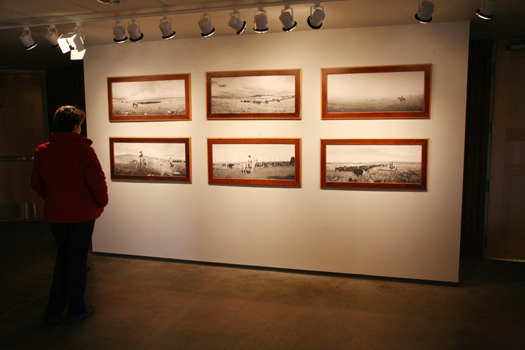 Offering a cinematic view of ranch life south of Belvidere, South Dakota. 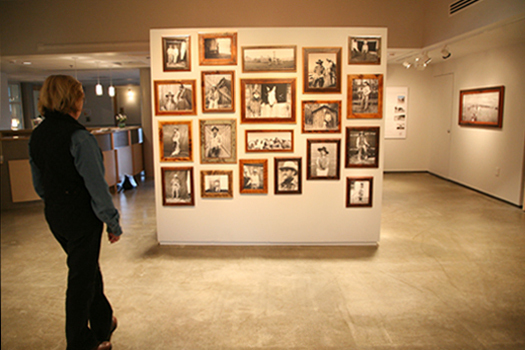 The prints exhibited, and for purchase, are archival pigment prints ranging in widths of 36, 48 and 60 inches, with silver gelatin as an option for purchase. 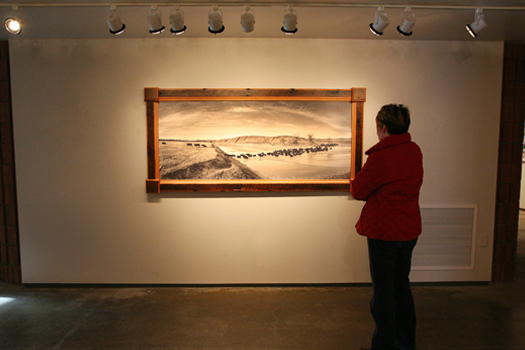 Inspired by county museums & historic locales, the photographs are exhibited in handcrafted frames made from reclaimed wood from various locations throughout the West.